After an extraordinary autumn and early winter, with many things other than art going on in my life, I’ve gotten way behind on posting. 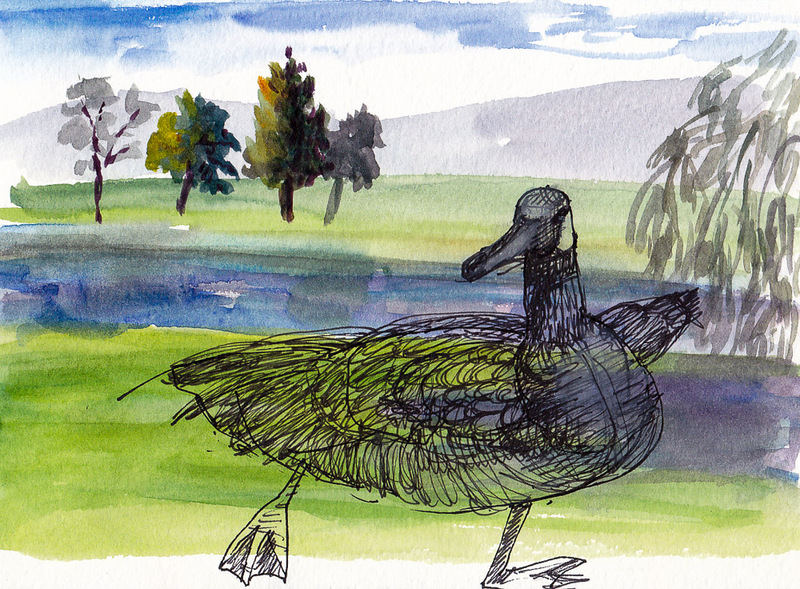 This goose isn’t really a Christmas goose, it’s a summer goose, as are the rest of these sketches from Knox Miller park. Knox Miller Park in Pt. Richmond is so pretty, with a lagoon of sorts, grassy meadows and the bay and mountains of Marin in the distance. 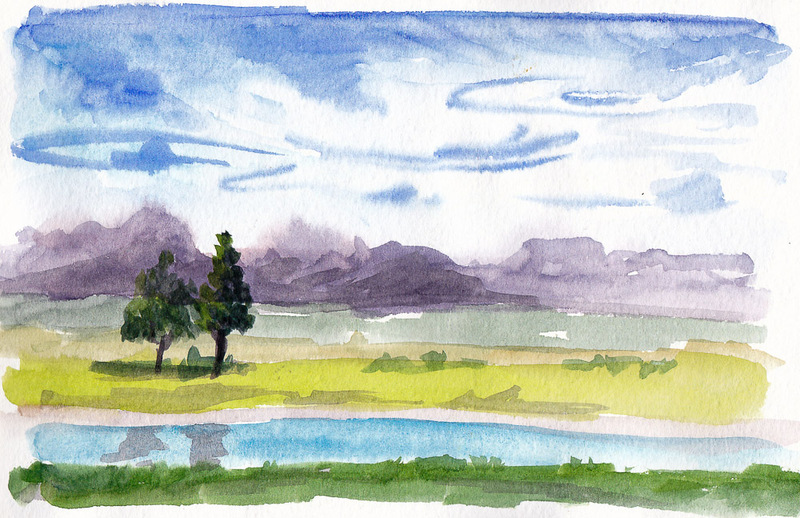 The birds were all sketched from photos, the little landscape above was the only sketch I managed to do on site, after arriving late and feeling poorly that day. Silly goose. My first attempt at drawing him from a photo. 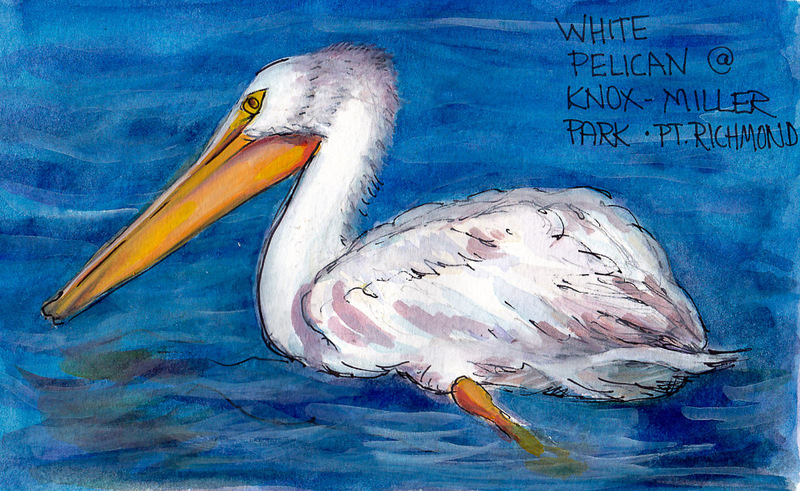 I struggled and struggled trying to draw and paint this unusual white pelican from a blurry photo. I ended up adding some gouache to get back some white, which never really works well. These are all lovely, and bring my back to another season! Thanks for posting them. Wonderful water on the white pelican and beautiful contrast. I think you did very well on this! 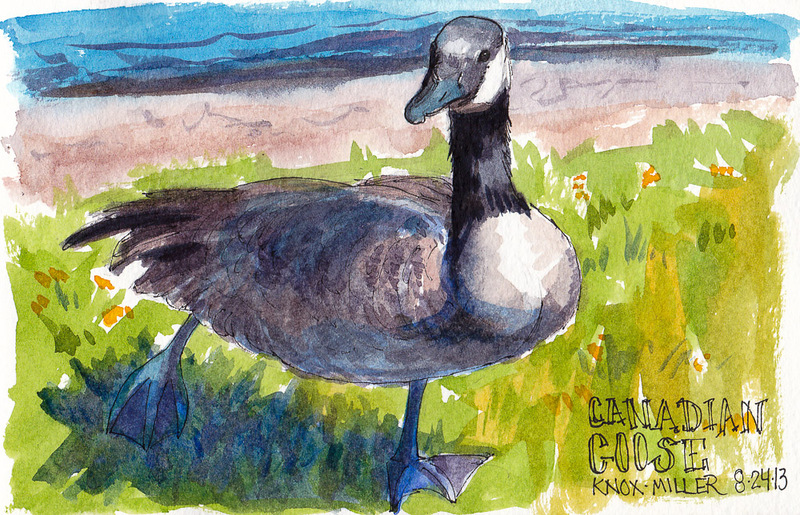 Your geese are wonderful. I enjoy the warmth of the colors, the rounded soft plumes, and the movement of the feet. I’m glad you had an extraordinary autumn. I wish you a Happy new Year!